The event will take place between stages two and three. The 2019 Overwatch League All-Star event is just around the corner, and fans can now vote to see their favorite players partake in the annual festivities. This year’s event will take place from May 15 to May 16 at the Blizzard Arena in Los Angeles between stages two and three. Players from the Pacific and Atlantic division will face off in a series of custom games on the first day. The main event, or the All-Star game, will feature a first-to-four format and will take place the following day. Fans can now cast their votes for which players they would like to see start in the All-Star event up until voting closes on April 28. The six players with the most votes from each division, up to two players per role, will start at the event. Additionally, 12 reserve players per division chosen by player, coach, broadcast talent, and staff, will receive the chance to participate on both days. To be able to participate, players must have competed on at least 10 maps during the regular season, however, players who played in the 2018 All-Star event will be automatically eligible to attend this year’s event. 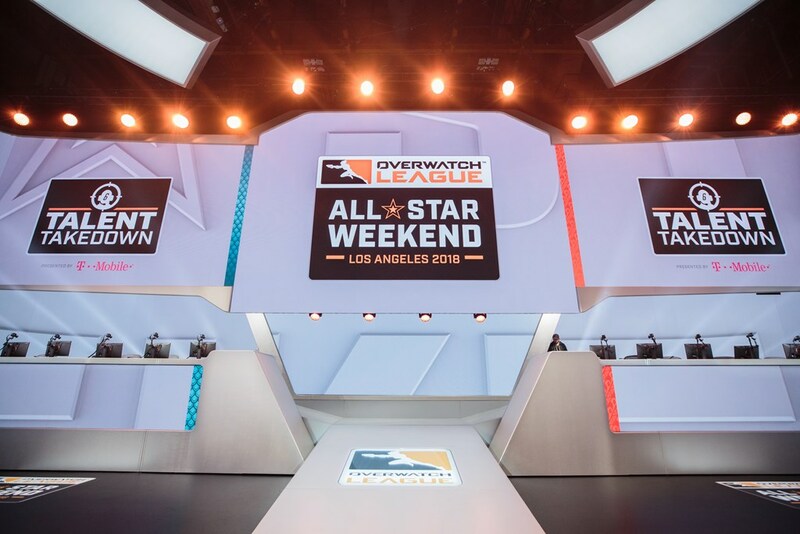 Games will kick off at 8 p.m. CT each day and will be broadcast on the Overwatch League site, Twitch, and ESPN2. Likewise, tickets to attend the event in person are now available for purchase. The All-Star players will be revealed in early May ahead of the event’s start date. Further information regarding the custom game modes played on day one will be revealed closer to the event’s date.